A wise reader sent me additional information about Greg Orman. And what do you know? Orman has donated lots of money to political causes. And by political causes, I mean Democrat committees and candidates. 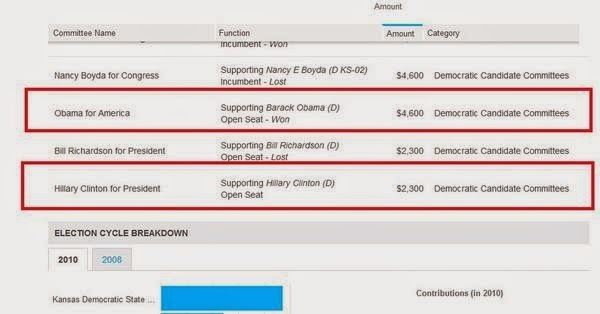 There's $9,400 to the Kansas Democratic State Committee; $4,600 for Obama for America; $500 for Democrat Al Franken for U.S. Senate. (So he gives money to actual clowns) and $100 to Democrat Laura Kelly for Congress. In all fairness, he once gave $2,000 to Scott Brown for U.S. Senate. So, he's given more than $122,000 to candidates and committees since 2008. Of that, less than 2 percent went to Republicans. Look, I don't care if the guy is a member of the Vulcan Party. To each his own. However, Orman's campaign is an ode to dishonesty and opportunism. If Orman campaigns on a lie -- the massive lie that he's an independent -- how would he legislate? Orman is a man you can't trust. Or, as we conservatives call him, a Democrat.